Eau Claire, WI – October, 19, 2018 -- CURT Group, a leading sales, marketing, engineering and distribution company of towing products and truck accessories, is proud to be taking part in several charity builds this year at the SEMA Show in Las Vegas, NV. Working with ARIES Pro Builders, CURT Group will be showcasing two custom truck builds and one Jeep JL build to benefit three different charities: the Warrior Dog Foundation, NS2 Serves and Rebuilding Generations. The Warrior Dog Foundation was established by a former Navy SEAL to give back to the Special Operations K-9 community. They strive to educate the public on the importance of these units in combat, showcasing the level of sacrifice these dogs give in support of our troops and rehabbing them with the goal to rehome. 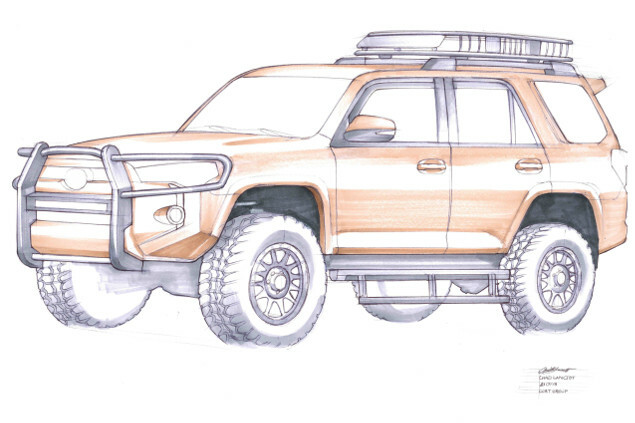 For this charity, Starwood Customs will be building out a 2018 Toyota 4Runner with ARIES next-gen ActionTrac™ powered running boards, patented Pro Series™ grille guard, CURT roof rack crossbars, kayak holders and more. NS2 Serves is an independent, nonprofit organization created to train and employ veterans in high-tech careers. As its signature initiative, NS2 Serves offers assistance to recent veterans of U.S. national security missions. For this charity, Tommy Pike Customs will be adding its "TP Touch" to a 2018 Jeep Wrangler JL. 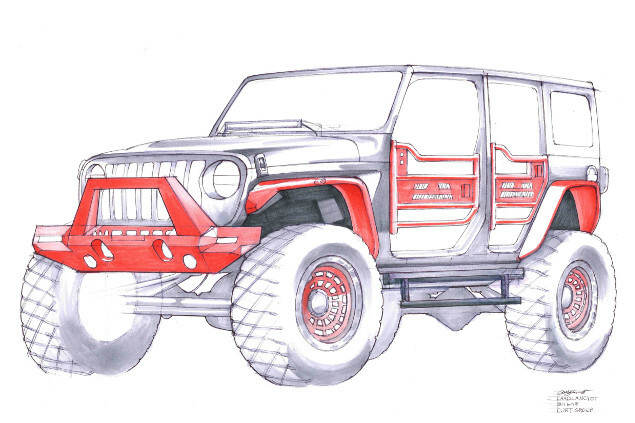 The build will feature ARIES new TrailChaser® bumpers and fender flares, unique to the Jeep JL. 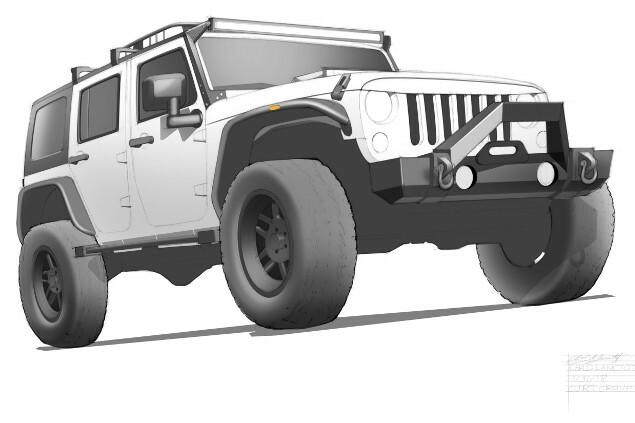 It will also have ARIES Jeep tube doors, LED light brackets, ActionTrac™ powered running boards, a CURT hitch and more. Finally, Rebuilding Generations is a charity aimed at bringing the young and old together to work on projects side by side. It offers an opportunity for youth to learn from the "Old Guys" about the automotive world and life experience. In turn, the youth are able to teach the "Old Guys" about technology and social media. For Rebuilding Generations, Bucks 4x4 will be putting the pedal to the metal on a 2018 Ram 1500. This custom truck build will be complete with the edgy ARIES Switchback® headache rack, AdvantEDGE® bull bar with LED lights, LUVERNE Textured Rubber Mud Guards, a UWS low-profile side mount tool box and much more. These three charity builds, as well as three additional builds, will be on display at the CURT Group SEMA booth in Las Vegas (booth #34017) from Oct. 30 to Nov. 2. 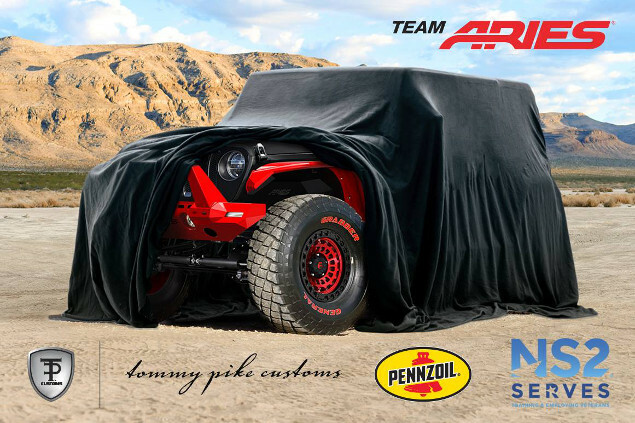 Other ARIES Pro Builders involved in these projects include Max-Bilt with a 2018 Jeep Wrangler JK and ProMotorsports with a 2018 Ford F350 Super Duty and 2018 Chevy Silverado 2500. Learn more about the CURT Group booth, vehicle builds and new, innovative products at www.curtgroup.com/sema.